When thinking of the various services and products that Google has under its ever-increasing umbrella. it can be difficult to think of one single service that really sticks out among the rest. Between the company's search engine, Play Music, YouTube, Play Movies, and more, there are heaps upon heaps of different apps and software services that the company has to offer. However, one of the oldest and most interesting of these is easily that of Google Maps. Google Maps has been around since as early as 2005, and the service has received a heap of new updates over those 11 years. Between design updates, app support, and other new features, Google has turned a mapping and turn-by-turn navigation platform into something much more than that. While Google Maps is at its best when giving you directions on how to get from one place to another, the company has refined the service over the years to make this experience more fleshed out and feature-rich than any of its competitors. One of those features that helps Google Maps stick out is the platform's Explore feature. The Explore section of the Google Maps app currently allows you to view various locations in your area for Breakfast, Lunch, Coffee, Dinner, and Drinks. It's an excellent feature to have when exploring new areas that you aren't entirely familiar with, and thanks to reports from some beta users of the Android app for Maps, it looks like Google is playing around with a fresh coat of paint for the Explore section. 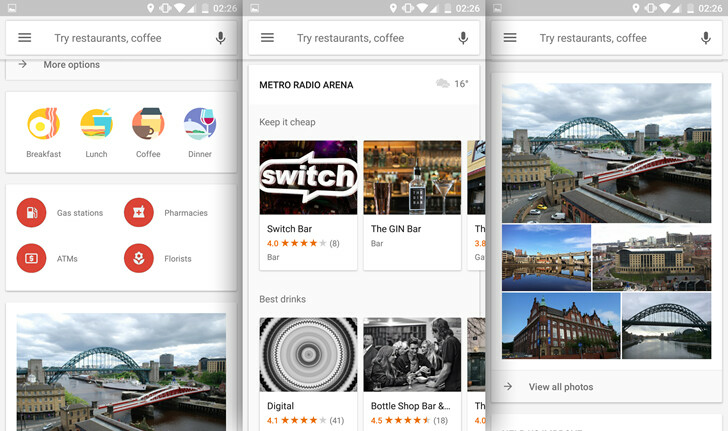 As it stands, the Explore tab of the Google Maps app on Android sections out the various types of restaurants and such by tabs that go along the top of the screen. It's functional and works fine, but in the new update, Google is looking to replace these tabs with a card-based layout that's more reminiscent to what we've seen with Google Now. There's a much greater presence of scrolling vertically to access new information, and this falls in line with what we've seen with Google Now since it initially launched. On top of this, it also looks like the Explore section will house information for finding not just restaurants in your area, but also things like gas stations, pharmacies, ATMs, etc. This is something that's already present when doing a search within the Google Maps app, so it's nice to see that it has made its way over to the Explore section as well. While there's no denying that this updated Explore section looks and sounds like a real treat, Google hasn't officially stated as to whether or not this feature will ever make its way out of the beta state. Android Authority asked Google about this matter, and a rep from the company responded by saying that they are "always experimenting with new ways to improve Maps." If the users of the beta respond positively enough to these changes, there's a very good chance we could see it make its way to the public in the near future. However, if it's met with enough criticism, it might be a while longer before we see the Explore section get officially updated. 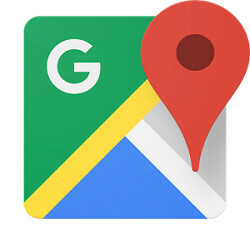 What are your thoughts on the new look of the Explore section of Google Maps?